Hummus and pesto are two of my all-time favourite foods. So I got to thinking…what would happen if I combined them into one dip? 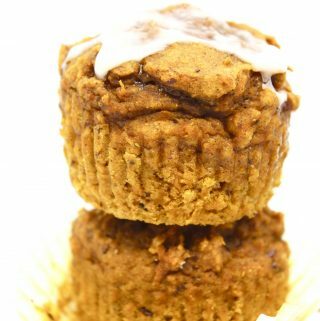 Well, I tested it out, and I have an answer for you: PURE DELICIOUSNESS! 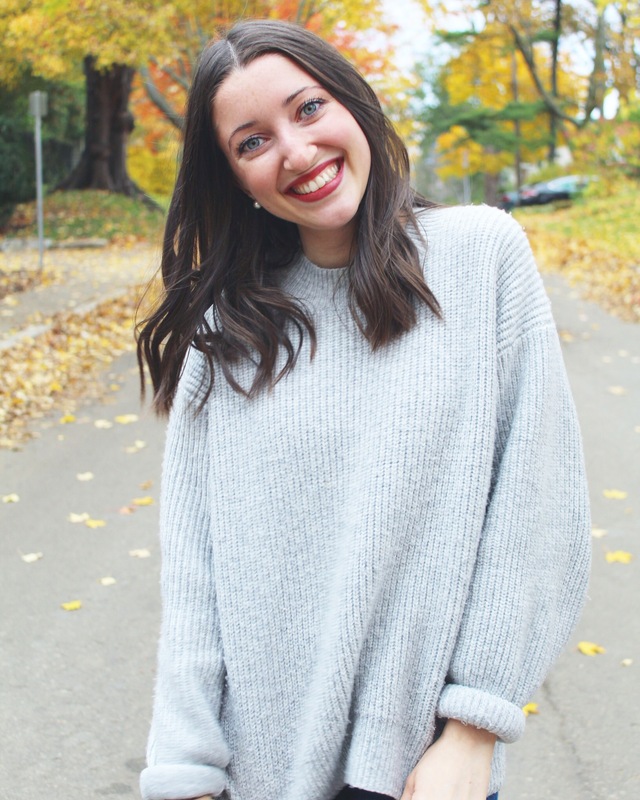 Can you tell I’m super excited about this recipe? That’s it. All that’s left to do is eat! 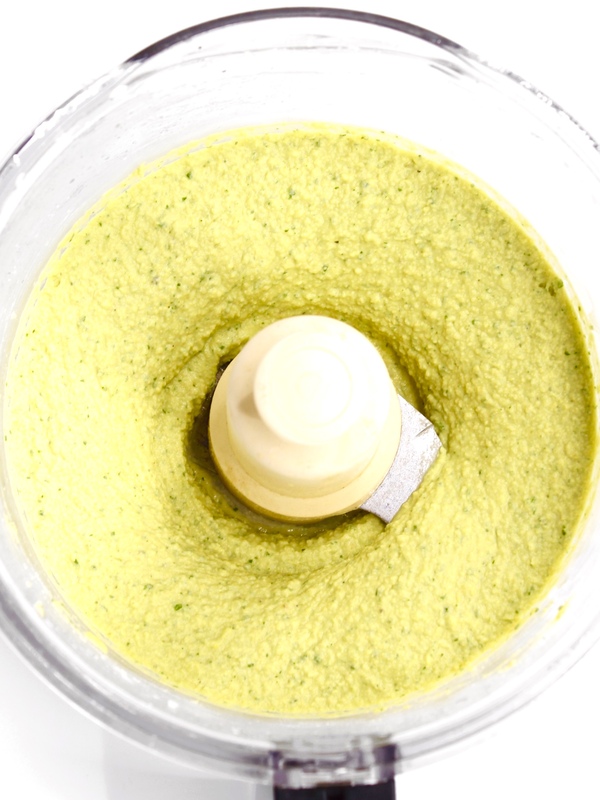 Don’t let the pale green colour of this pesto hummus fool you. It packs a punch with some serious pesto flavour! 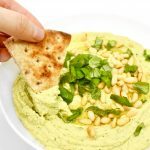 This pesto hummus is great to quickly whip up and keep in the fridge for when the snack cravings hit. 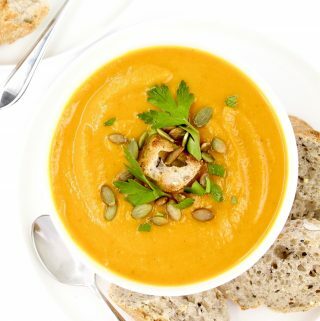 It would also be a great appetizer to serve the next time you’re having company over. Enjoy it with grilled pita, crackers, carrot sticks, cucumber or snap peas. 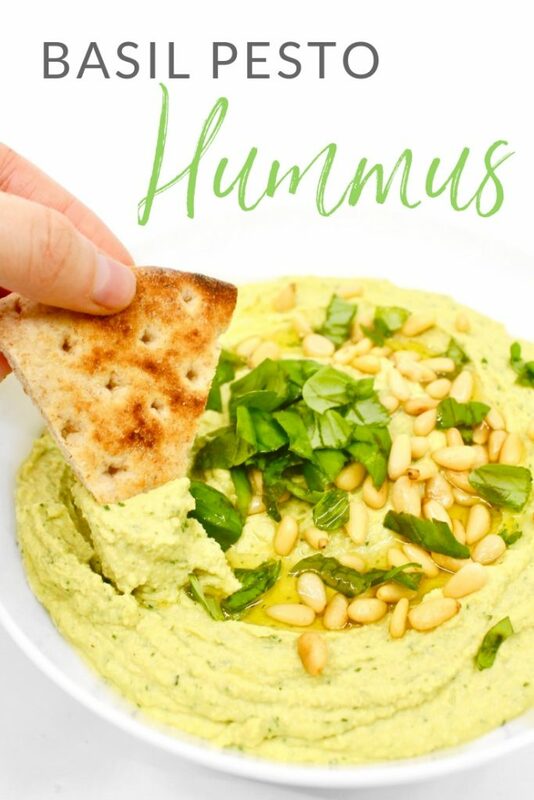 This hummus would also be amazing as a spread on sandwiches and wraps. What’s your favourite way to enjoy hummus? Let me know in the comments! 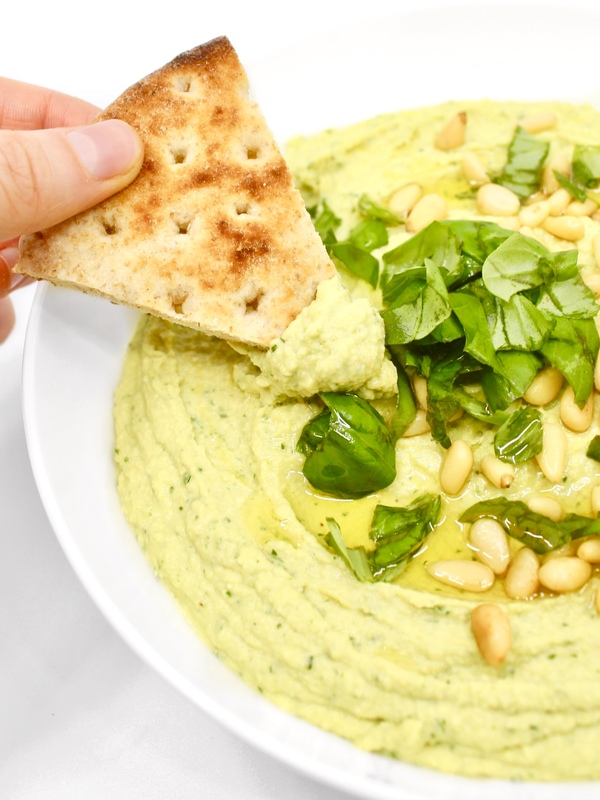 Don't let the pale green colour of this pesto hummus fool you. It packs a punch with some serious pesto flavour! 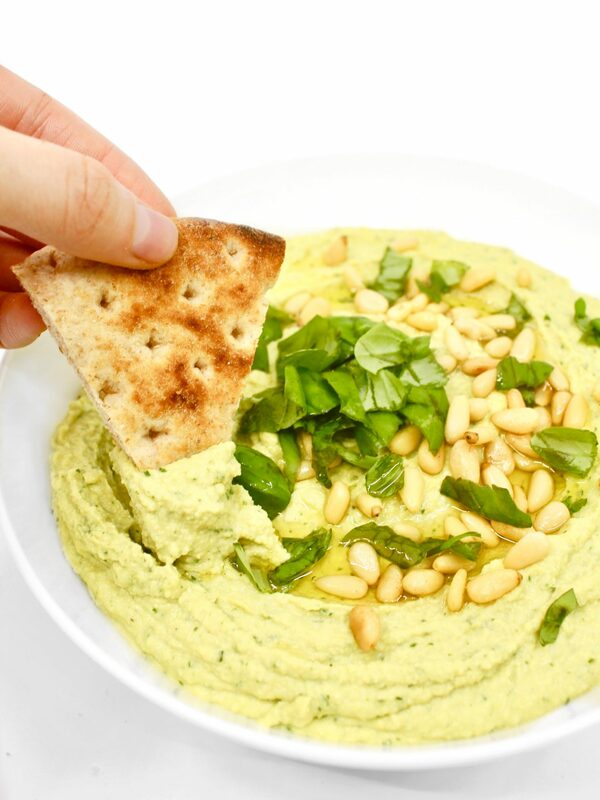 Enjoy it as a dip with pita, crackers and veggies, or as a spread on your favourite sandwiches and wraps. 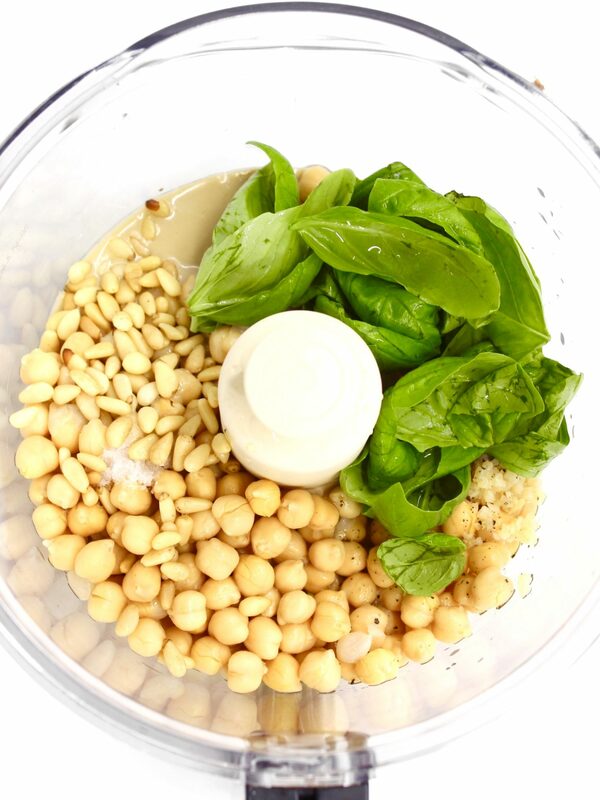 In a food processor, combine all ingredients, and pulse until smooth. Garnish with extra basil, pine nuts and olive oil (optional). Serve and enjoy! Keeps for up to a week in the fridge. 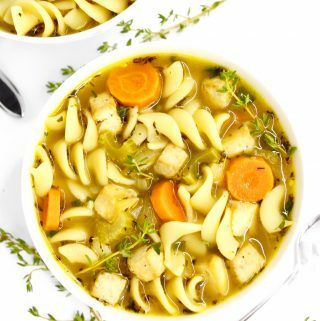 Did you enjoy this recipe? Leave a comment, share it with your friends, and don’t forget to snap a picture for Instagram and tag #plantifuleating so I can see your creations! I will def have to try this for my next party, it looks delicious! Thanks Valerie, I hope it’s a big hit! This is amazing! And so easy! I’m right there with ya, hummus and pesto are top notch! Thanks for the recipe! This looks simpe enough to try but my blender broke so first on my shopping list is a blender and then your recipe! It will be interesting to taste! Sorry to hear about your blender. 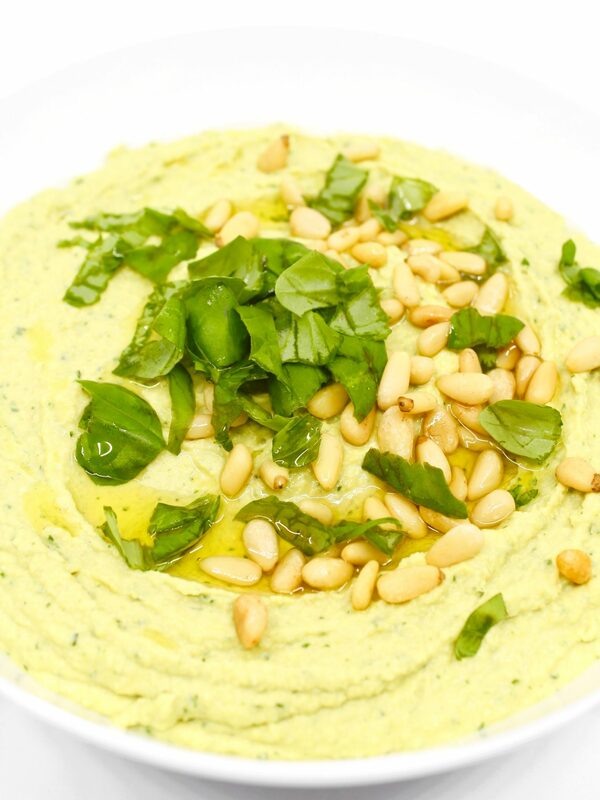 Let me know how you like the hummus when you’re finally able to make it!